Hi there and welcome. 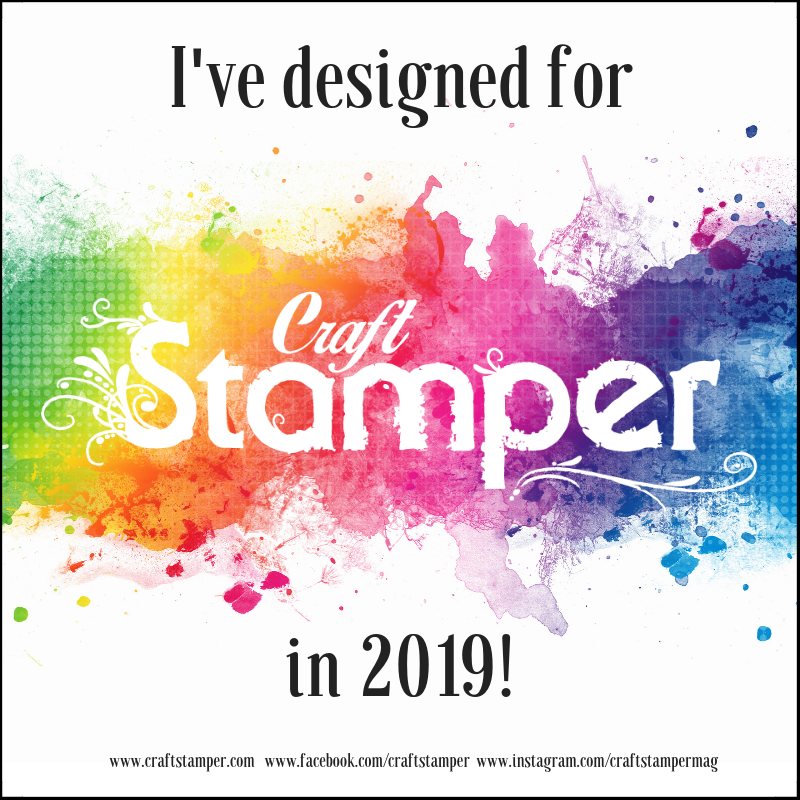 This is my first time of joining the blog hop and I'm excited to be involved and to share my offering for the Stampin' Up! Mediterranean Cruise Blog Hop with it's theme of 'One for the Guys'. I'm also a little bit shy as there are some extremely talented Stampin' Up! demonstrators in this group and so I hope I'm up to the standard. 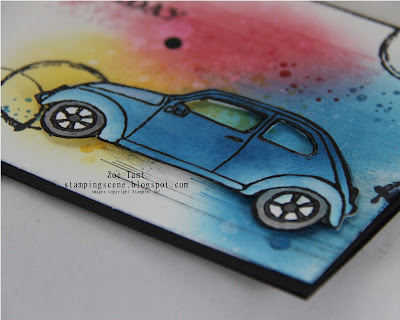 Last weekend I spent time with my dutch downline in Amsterdam and they showed me some great tricks with ink so I put a few into action for this card and was also inspired by a tutorial I found some time ago in Craft Stamper magazine. I've used brights ( daffodil delight, real read and pacific point) ink and stamp sets Gorgeous Grunge and Timeless Textures to develop my back drop and then added the car from Beautiful Ride which I embossed in black and then added colour to with sponges and a couple of marker pens. Final touch, was to add some candy dots and a sentiment from Guy Greetings. Enjoy the hop! You can check the list below to see where you go next. I'm Zoe Tant so carry on down the list for lots of inspiration for those male cards with which we all seem to struggle. See you again soon and thanks for stopping by. Love the bright colors, such a great card! Thank you Angela. It's a great set and makes it easy to use. How cool is this! This is so well designed, plenty colorful and masculine! Great card, suits a younger or older man equally. Visit Zoë's profile on Pinterest. 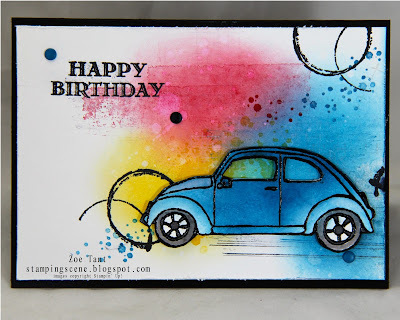 CopyrightStamped Images in projects on this blog, are copyright Stampin'Up! 1990-2015. All projects featured have been made using mostly Stampin'Up! products by Zoë Tant. Copyright of photographs on this blog belongs to Zoë Tant. I am solely responsible for the content of this blog. 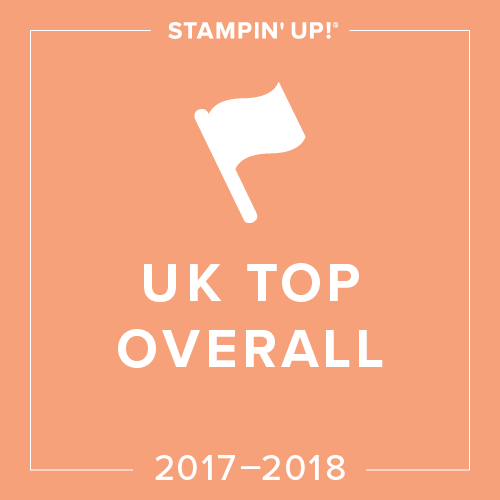 No part of it is attributed to Stampin' Up!. Stampin' Up! 's Miss Big Shot UK - That's me! More great sites to visit!